JTE Transportable RF welder on wheels can easily be moved and is the world’s most powerful and portable RF welder! Depending on the power availability, this welder can be used in the field for closing welds and mega large projects, if needed. Equipped with all of JTE’s advanced features including auto-tuning, digital pressure control, seven inch color touch screen, superior shielding and computerized controls with presets, this RF welder is not only easy to move, but it is extremely safe and easy to use. 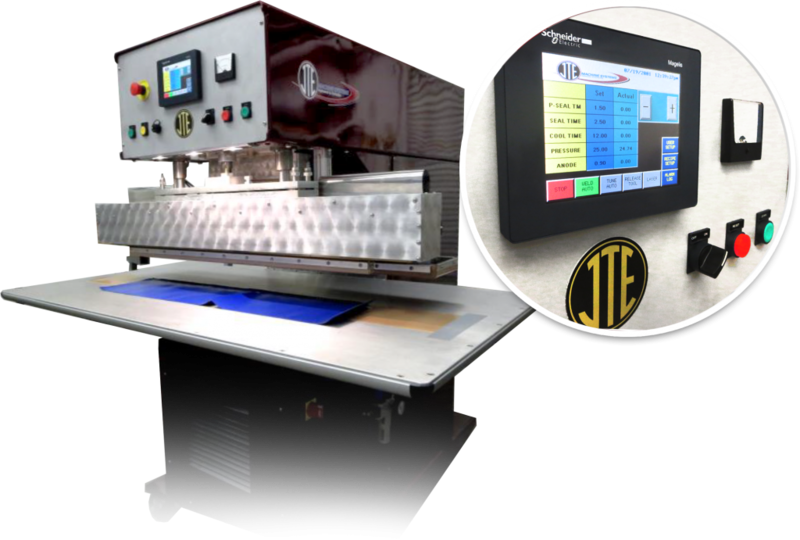 JTE machine solutions produce high-quality, virtually invisible, very strong welds, and this system is no exception!